Learning – What is Perfect? We are a learning people. Every single day there is something new for us to learn. A new skill, new information, new facts, new ways to do things. 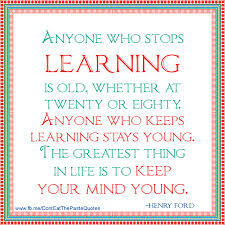 We are to use our minds to learn, not just so we can attain knowledge, but so that we can use the knowledge and all that we have learned to glorify God! The biggest thing that I am learning right now is how to be a homeschooling momma. And let me tell you, I did not foresee that in my future! Knowing myself as well as I do after 30+ years, all the glorious faults and sinful tendencies, I know that I do not have what it takes to be a homeschooling mom. I am not organized. I am lazy. When things get tough it is easy for me to want to throw in the towel. I don’t think that I naturally have what it takes to do this job. But you know what, I think that is exactly where my mind needs to be. I don’t want to think I can do this job well, because then I would be relying on my own strength. And boy, I will fall flat on my face if I do that! I trust that when I fail, God’s grace helps me. When I don’t think I can hear my kids whine about phonics one more second, God will give me the patience I need. When I feel like I just can’t do this, I remember that He can, and His Spirit will give me what I need! When I am weak then He is strong! And, He gets the glory! Woohoo! I have a long way to go in learning how to homeschool, but I’m up for the challenge! I also always want to be a student of the Bible and of my wonderful Jesus. Reading about His life and studying His example so that I can better love those around me is a beautiful thing. I hope my mind will always be engaged in learning about the things of the Lord.